I can’t believe Valentine’s Day is almost here! I feel like we flew through January, and I blinked and it was gone! I thought I would get a little head start on a Valentine Gift Basket for our little doggy, Ruger! He is a part of our family, and I will be honest he truly gets spoiled with toys, treats, and lots and lots of attention! I thought it would be fun to create this cute Valentine’s Day Doggy Basket, and I made a fun No-Sew Dog Rope for his play time! It is super easy to make, and you can use any fabric you want! I had some red and white fabric, and since I wanted it to be Valentine’s theme, I thought it was a perfect time to use it up! Want to see how easy it is to make this No-Sew Dog Rope Tutorial?! Then keep reading! It only takes like 10 minutes to make, it is that quick! Plus you don’t need anything more than fabric, scissors, and your hands to tie and braid! First off you want to cut up some fabric. Again you can use old t-shirts, or old fabric you have laying around, or go out and buy some. Anything will do! Now, Ruger is a really small dog, he weighs only 12 pounds and is full grown. So I knew going in I didn’t have to have to long of a rope. So I just grabbed my ruler, and cut up some strips of fabric. Because you braid and tie off the fabric, cut it a bit longer than what you are wanting. 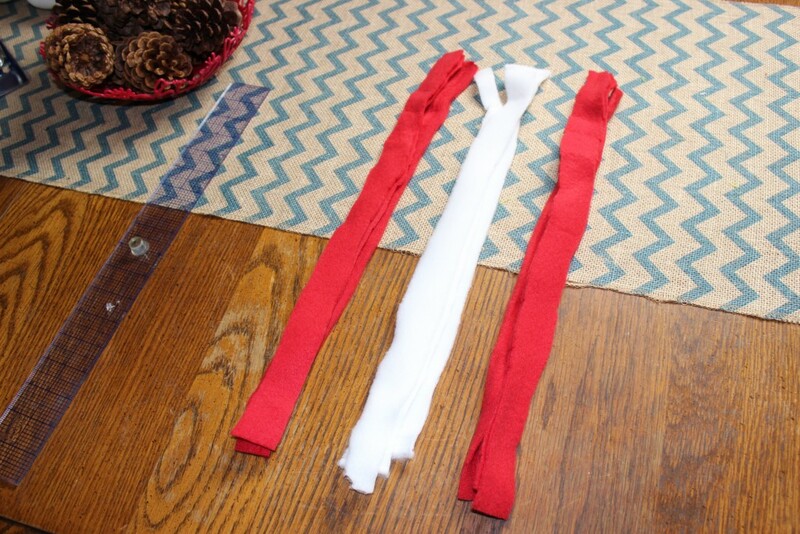 I used three strips of the white, and six strips of the red fabric. Next you want to tie the end together on one end. Its a little awkward to get tied but again it doesn’t have to be perfect, just as long as it is knotted well, so it won’t come apart when your doggy is tugging on it! Then you simply want to braid the rope, and tie the other end off once your braid is done! That is it, you are done, and ready for your little pooch to begin playing!! Now I wanted to go and do a bit more for Valentine’s Day for our little Ruger! So I hit up our local Walmart and got some tasty dog treats that he loves! 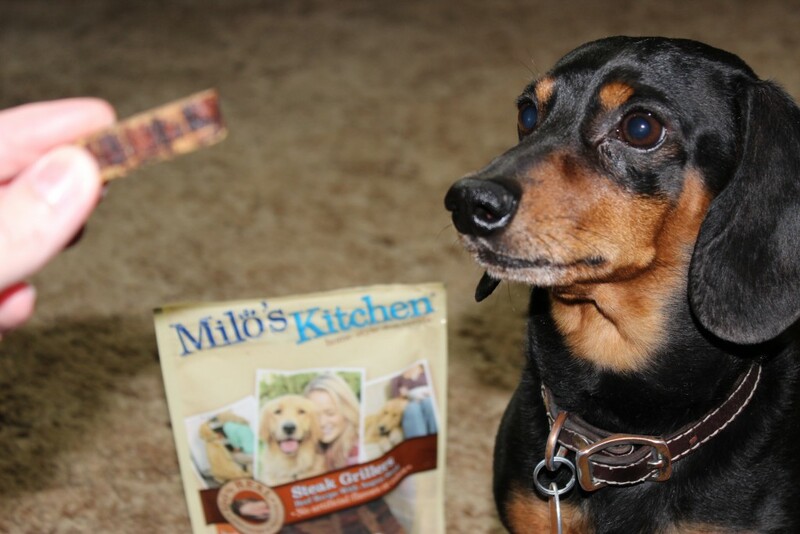 I got some Pup-Peroni in original beef and bacon flavors, and picked up some Milo’s Kitchen Steak Grillers! Those are his absolute favorite treats to munch on! I tossed all the items into a basket, and wrapped this cute heart I made that says Free Kisses around his neck to make him pose for the camera!! Ruger, is not a fan of getting his picture taken when he knows he has a toy right next to him and tasty treats, but hey I got a few of him! Isn’t he just adorable?! Look at that yearning for his treat in this picture! I barely got to snap the picture before he demolished it! That is one thing I can say, he love love loves his treats! So don’t forget your little dog (s) this Valentine’s Day. Stop in to your local Walmart and pick up some tasty treats at great prices, like I did! And if you are feeling like a DIY, create the fun rope above! 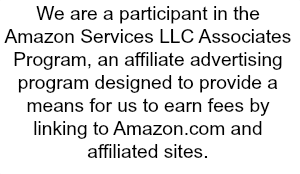 It is really easy to do and takes only 10 minutes! Do you have a pet you will be spoiling this Valentine’s Day?! Awe, that is too cute! This is perfect for Valentine’s Day too. I love the idea of putting together a little basket with treats that also looks festive. How clever, I’ve always looked at those knot chew toys and thought I could make them, maybe I finally will! We treat the pets like kids here, no matter the holiday, our dog will definitely be getting a gift basket like this! I have a puppy and a cat. My puppy would love to have all of those treats! Oh he is adorable!! Love this gift basket idea I never would have thought to make my own dog rope like that! Okay, first off – Ruger is ADORABLE! Sigh. I wish we had a dog! 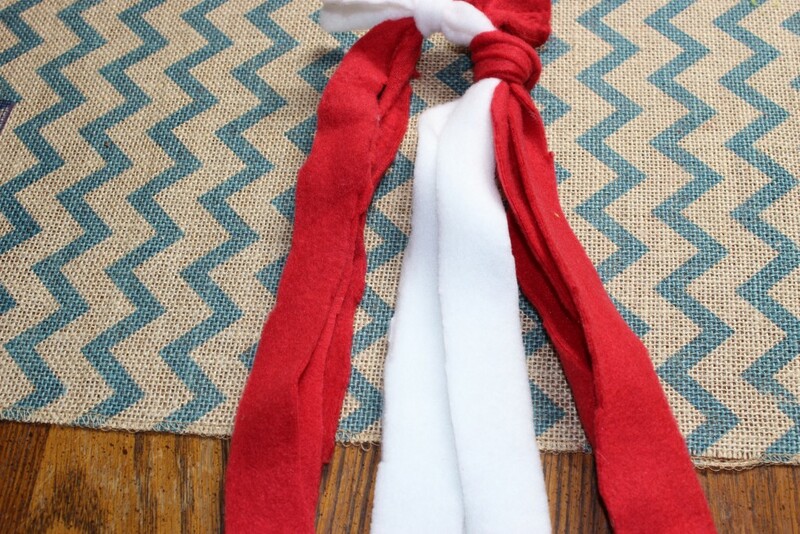 I really love that clever idea of a DIY dog toy! Who knew it was so simple?! Aw thank you Jenn!!! We love him very much! Yes it is SO easy to make! He is SOOOO cute. I love him. What a fun idea, too! 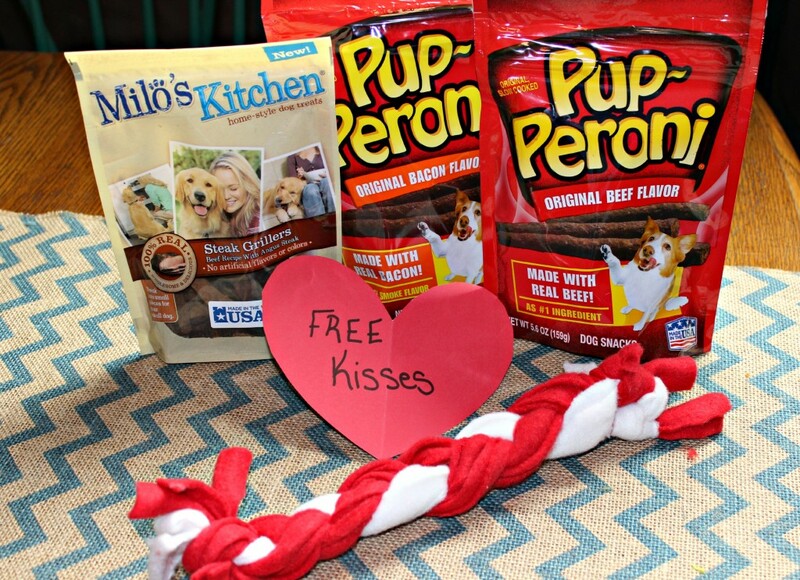 How cute…..I know your dog will enjoy his Valentine’s Day basket. What a great idea! We just got a dog last week and I’m shocked by the price of dog toys. Make my own! How cute! I am sure your pooch is loving every bit of the early V-Day gift! I love this idea! My kids love to get my brothers dog gifts this would be fun for them to make for Lucy!! What a great way to make a dog rope! 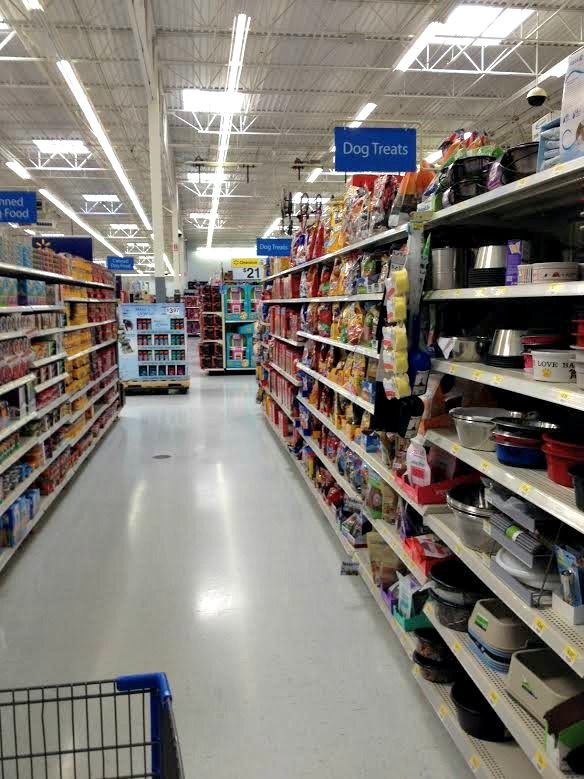 I’m sure our dogs would love to have a basket of dog goodies for themselves. This is such a geat idea! I have SO much excess fabric- I’ll have to make one for my mutt and pair it with some yummy treats! Oh my goodness! I’d love some kisses from Ruger! What a sweetie! Our dog is a bit rough on toys (She destroys them within minutes and then is sad when she has nothing to play with!) but these are perfect to make for our friend’s pups who take better care of their toys! I love seeing all these Valentine’s Day presents for the fur babies in the household. I really love how you made the chew toy too. What a great idea! This is such a great idea for your pet. I will have to make a few m.for my sisters two dogs. I am sure they would love a little doggy basket. 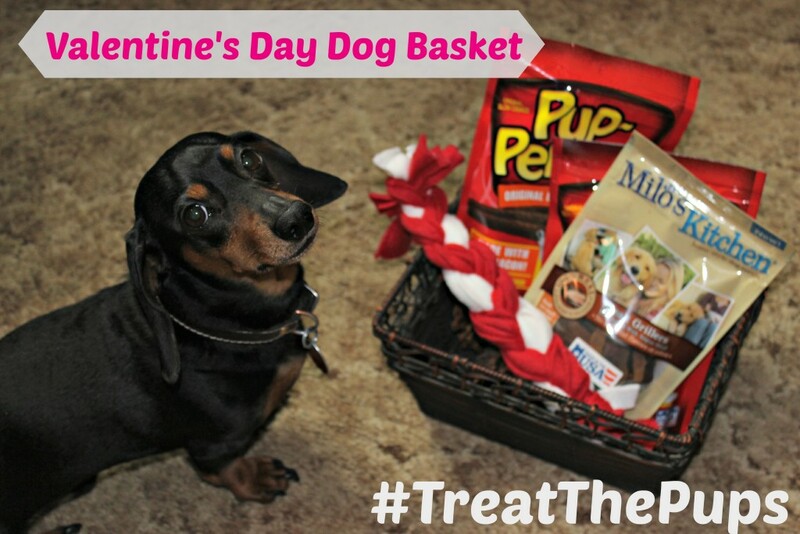 Oh my pup would absolutely love a basket like that for Valentine’s Day! He sure loves puppy treats and a rope to play with! What a fun and creative way to celebrate your pets. I really like this idea. What a cute little pup you have! 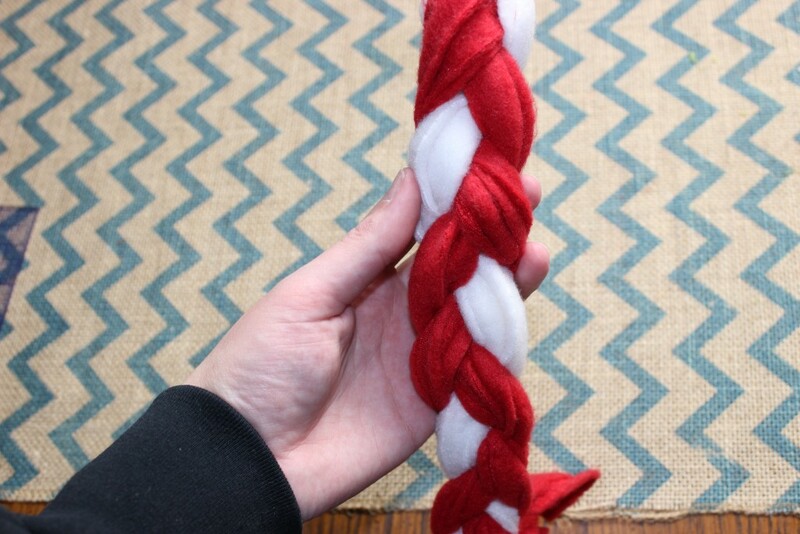 What a great idea to make your own rope toy – my dog would love this! That’s a nice surprise for the little friend! He posed so formally for the camera lol! What a sweet dog! I do want a dachshund they are my favorite. What a great soft frugal toy! I have very spoiled pets. I bet my cat would take that if I made it for my dog. We got a dog over the summer and he’s got it pretty good, I don’t know that he’s gonna get much more love than how he gets smothered by the three little boys all day every day anyway. That’s adorable! 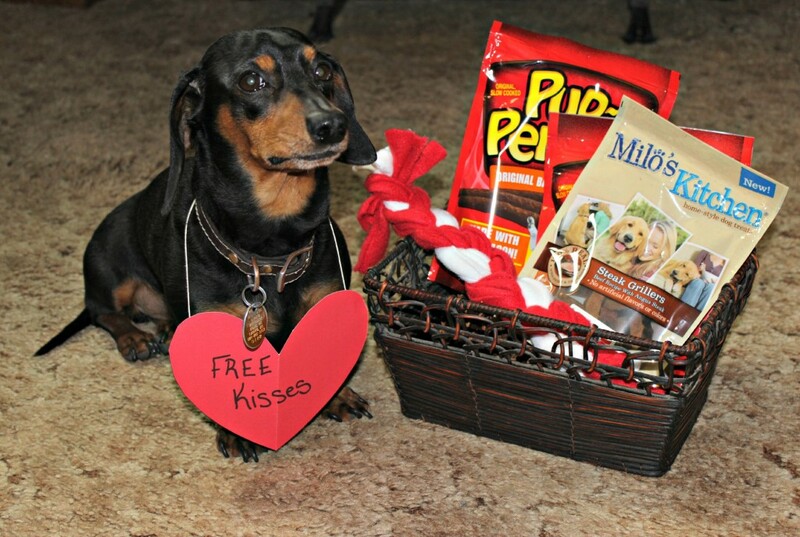 I never thought about a Valentines basket for my dog!